SpeEdChange: Is all information equal? "That Titanic hit the iceberg could be down to a misunderstanding. Because the ship sailed during the transition from sail to steam there were two different steering communication systems in operation: rudder orders for steamships, and tiller orders for sailing ships. "The two steering systems were the complete opposite of one another," said Patten. "So a command to turn 'hard a-starboard' meant turn the wheel right under one system and left under the other." "The man at the wheel, Quartermaster Robert Hitchins, was trained under rudder orders – but tiller orders were still in use in the north Atlantic. So when First Officer William Murdoch first spotted the iceberg and gave a 'hard a-starboard' order, a panicked Hitchins turned the liner into the course of the iceberg. "Titanic was launched at a time when the world was moving from sailing ships to steam ships. My grandfather, like the other senior officers on Titanic, had started out on sailing ships. And on sailing ships, they steered by what is known as ’tiller orders’ which means that if you want to go one way, you push the tiller the other way. OK, I am a Titanic freak. Before I was born, an aunt of mine worked as a secretary for Walter Lord, transcribing his recordings of Titanic survivors, sometimes making notes of the interviews in shorthand, as he researched the classic A Night to Remember . So I was raised on these stories. So, of course, I was fascinated to see that the grand-daughter of Charles Lightoller, the Titanic's Second Officer (and highest ranking crew survivor), was proposing a new theory regarding that legendary 1912 accident. But I was also a touch disturbed. As the story spread - to The New York Times and beyond - I wondered, where were the questions? I wondered how officers on a line which had been all steam for 44 years in 1912, would make a mistake like this. And I wondered about the idea of "sail to steam transition" and what that meant for trans-Atlantic merchant seamen. And I wondered about what else was known about this moment in time, leading me to Wikipedia entries on "Tiller Orders" and First Officer Murdoch. 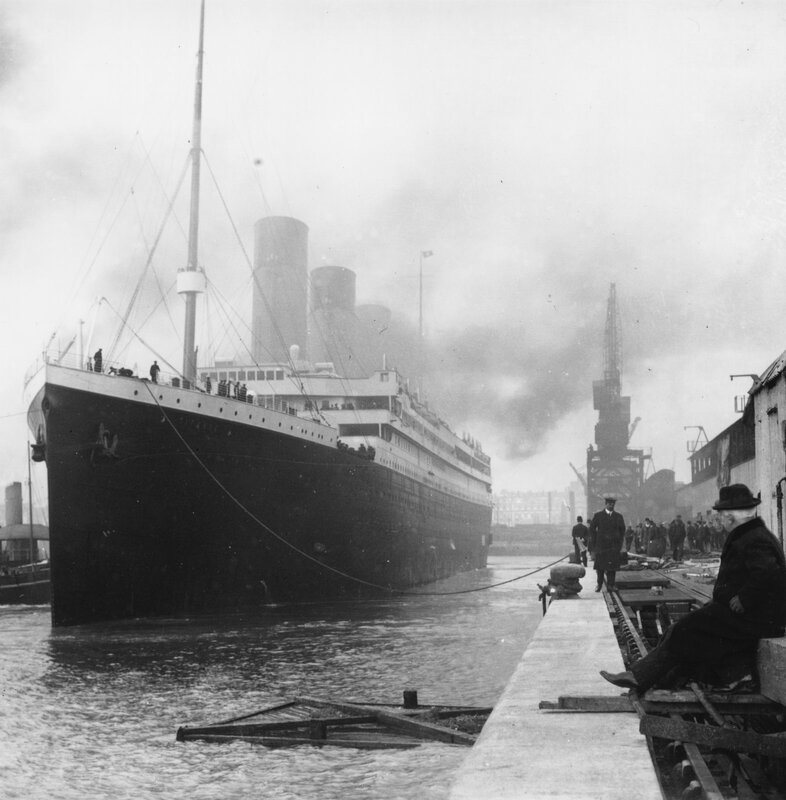 It turns out that all British and American ships (the Titanic was British but was owned by Americans) used "tiller orders" in 1912, and would for decades (on British ships until 1933, on American until 1935). That all took about seven minutes. So why did no one at The Guardian or The New York Times do this? We have, in too many ways, become a community of "Noddies" - we see something, and we nod and agree. Or if we do not agree we tend to consider "all information equal." As if, if someone says Barack Obama is an American on network news, the reporter has to indicate that this is controversial. Now, I'm firmly (and often fiercely) post-modernist, but I still believe that all information must be analysed, whether it comes from The New York Times, The Guardian, NBC News, or your teacher or professor or lecturer. So I read these Titanic stories, and I wasn't transported back to childhood fantasies of being on board, but rather back to last night, when I was almost begging university seniors to disagree with my controversial statements. We train compliance so strongly in schools that we make doubting difficult and uncomfortable, and that is a dangerous thing. I don't know if Louise Patten is lying, confused by a childhood story, or telling some type of truth. No one on the bridge that night in April 1912 is alive to discuss it. But I do know that claims should always engender questions. And I know that if we do not start that training at the beginnings of school, we will continue to be a world which fails to process information in the ways we must. 4 ""Last Log of the Titanic" -Four Revisionist Theories - a "port around" or S-curve manoeuvre in which "the bow is first turned away from the object, then the helm is shifted (turned the other way) to clear the stern"". Archived from the original on 2003-10-28. http://web.archive.org/web/20031028123941/http://www.geocities.com/murdochmystery/Last_Log_of_the_Titanic.html. Retrieved 2009-03-12. While not questioning ideas is a problem, I think what often happens is that students create 2 knowledge frameworks. One for school, one for their personal life. When students don't question new ideas, they likely don't assimilate them, so do they really learn anything? Students just want to get through the school day. Being curious or controversial doesn't help that goal. It really should be required reading for students and teachers alike. In this case, I have to classify myself as a "noddie"! I do agree with you fully that students are not encouraged to question enough. We accept the majority of our infomation as truth and forget to think for oursleves. I would love to see this skill nurtured and promoted in our schools. I enjoyed exploring your blog. I am a student at the University of South Alabama and have been assigned to your blog for my class. I'll be keeping up with your posts for the next 2 weeks and making my own posts on my class blog as well! Students learn less in school, in my observation, because of exactly what you suggest. There is "always" a "right" answer in school. Which means students do not work for an answer they find themselves, which means it is meaningless to them. I see the result among University "noddies" and, as we demonstrate here, among reporters for major newspapers. I need to start reading Stephenson. I really do. Welcome, great to have you along here. What class are you in? Are you heading toward teaching? I am taking Dr. John Strange's EDM 310 class at the Univ. of South Alabama. I am actually already a certified teacher, but I am staying home with children at the present time! I am taking this class to renew my teaching certificate.